Kent County Council adult cycling sessions have recommenced. There are a range of programmes to cater for different levels of ability which are being offered at 4 centres - Ashford, Maidstone, Ramsgate and Tunbridge Wells. You can borrow bikes and helmets from all centres except Tunbridge Wells. More importantly the Learn to Ride and Confident Road cycling courses are being offered FREE of charge in May and June this year. For information and booking www.kent.gov.uk/cycletrainingThe Great Kent bike ride on Sunday 11 June starts at North Park, Tannery Lane, Ashford, TN23 1PL between 8 – 10.00am. 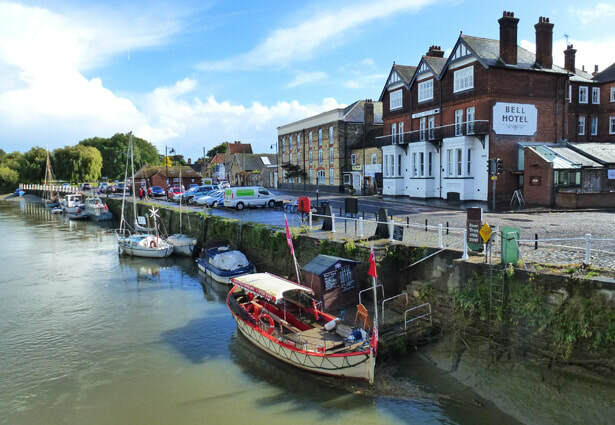 Raise money for the East Kent Hospitals Charity and enjoy cycling through a varied landscape of ancient towns, gentle hills and unspoilt shingle beaches. With a choice of 35, 60 or 100 mile routes, there is something for everyone! Spokes Committee has vacancies. We urgently need a web expert to keep the website up-to-date and relevant. Spokes members will provide the copy. Ian Rogers, the Rides co-ordinator, has stepped down due to the birth of his son, George. We’ve mentioned Breeze rides for women on several occasions. There’s Ride Social which also brings people together to cycle. You can register with British Cycling (for free, unless you also want to be a member), log a ride with a brief description of the route and difficulty and an invitation for anyone to join you. Those wanting to join your ride also need to register for free with British Cycling so that they can create their own log in, etc. Rides are found via a postcode search which you will find at www.letsride.co.uk/social where leaders of Ride Social log their rides, including brief details of the route, approximate time it will take and level of difficulty. The differences between Ride Social and Breeze are that the leaders of a Ride Social ride may not be qualified leaders and welcome both men and women. Breeze Champions are all qualified leaders with first aid training and are for women only and sometimes with their children. Spokes monthly ride – Sunday 4 June. Meet at Canterbury East station at 10.30. The destination for this ride is Sandwich, one of the finest and best preserved medieval towns in the country. Gently undulating countryside. 33 miles. Leader Martin Lloyd. One and a half degrees – an event about climate change will take place in Faversham on Saturday 17 June, 10-4pm. There will be a broad variety of organisations participating in the Alexander Centre. This free and interactive event for all ages aims to motivate everyone, young and old, to learn more about climate change - and how to take practical action to minimise its effects, locally, nationally and internationally. Worth the visit just to see the impressive Greenpeace polar bear, Paula! At the monthly Spokes meeting in April the committee decided it was time to raise our membership fees. The last time we did this was in 2010! Unfortunately we have been forced to do this because increased costs are making the running of the organisation less viable. If you would like beat this increase, we are happy to accept any amount of future instalments of your membership before the end of June at the current rates. The new membership fees are:- Single £10; Family £15; Unwaged /Retired - £7.